A collection of math mnemonics for trigonometry - memory aids for various math facts and figures. SOHCAHTOA, and how use you can use SOHCAHTOA to help you remember the right triangle definitions of the trig functions, assuming that you can remember to spell SOHCAHTOA. A SOH-CAH-TOA song to help you remember. 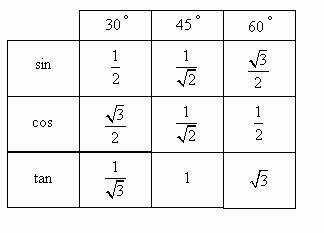 Mnemonic for Reciprocal Trig Functions. This video demonstrates the ASTC rule used to determine the sign of the trigonometric function in each quadrant. 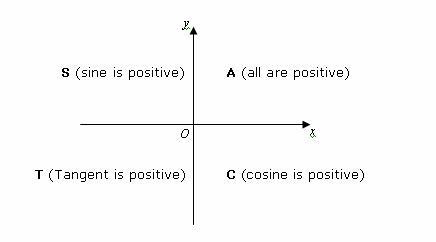 We can use a mnemonic like CAST or ASTC - All Students Take Calculus to remember the signs in the 4 quadrants. A song to help you remember the unit circle. Memorize the Pythagorean Trigonometric Identities by creating a story you can use to recall the identities whenever you need them.